The Miss Motivator’s Live & Direct Show is a passionate, informative, engaging and motivational show. 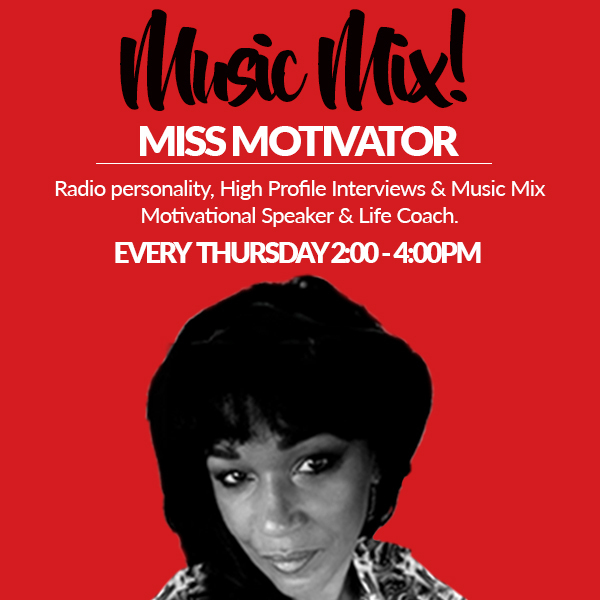 Multi Award Winning radio presenter “Miss Motivator” hosts live interviews with experts, local inspirational and international people who overcome life’s trials and celebrities closing the gap, enabling the listeners to gain from the interviewee’s experiences. Humor is said to be the best medicine…you can be sure to be cured whilst listening to the Live & Direct Show. Miss Motivator tackles most topics that the average person would identify with bringing about active interaction audience participation during the show, via text message, FB posts and web chat. Live interviews, educational, inspirational and motivational chat. A great selection of music ranging from old school R&B, Reggae, Soca, Soul, and much more.